Mrs. Rose embodies coffee drinking culture and the pure coffee pleasure, excellent quality and a full taste. The Italian espresso who has made the coffee culture of the country world-famous. To have a more enjoyable experience, having the matching coffee cup and accessories is a unspocken must have for the true coffee connoisseur. 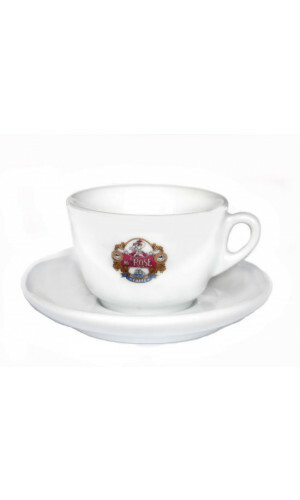 Thats why we offer this premium selection of Mrs. Rose table ware. The logo of Mrs. Rose decorates the cups and saucers nicely. The classic of Mrs. Rose. 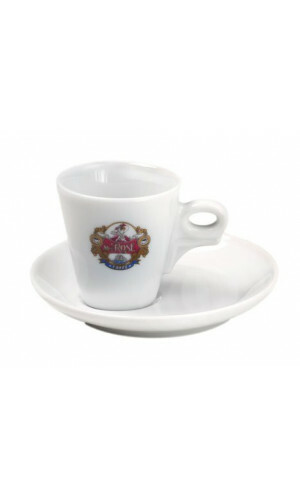 An exceptional item, because the cup is not centered on the base and makes room for a small addition like Sugar or chocolate. Very cute and a great accessory for every Mrs. Rose espresso lover! 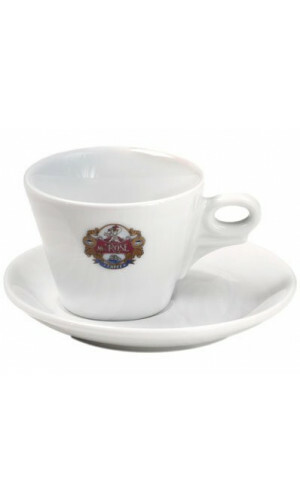 An exceptional item, because the cup is not centered on the base, but makes room for a small addition, e.g. Sugar or chocolate.